Preheat oven to 350°F. Line an 8 x 8 x 2-inch baking pan with foil and spray with nonstick cooking spray. Stir together water and eggs until well blended. Add Meyer lemon filling mix and stir with a whisk until smooth. Let sit while crust is baking. Press crust mix firmly into the bottom of pan. Bake for 8-10 minutes, crust will be pale. 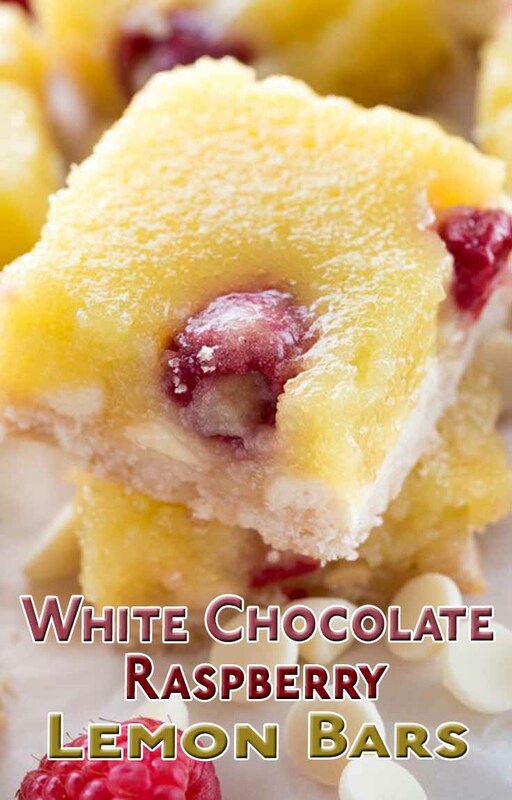 Sprinkle white chocolate chips and raspberries over hot crust. Stir the lemon filling mixture again and pour over the top. Bake 26-28 minutes or until the edges begin to brown. Cool completely before cutting. For easier slicing, chill the bars for 1-2 hours before cutting. Store in the refrigerator.